There is a free and effective marketing tool that requires almost no effort, and you use it every day. In fact, it’s right there at your fingertips. 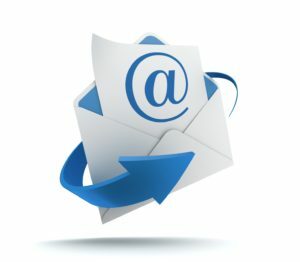 Include contact information on all emails. You’ve sent out an important follow-up email to a potential customer who you’ve been courting for months. The recipient is on vacation, but has been awaiting the email from you, so she assured you she would regularly check her smartphone. When she gets your message, she wants to talk with you directly to approve moving ahead. She scrolls to the bottom of the message, and there’s no contact information. None! It’s likely she’s not going to go to the trouble of tracking your phone number down while sitting on the beach watching her kids play in the water. So, now she will wait, and probably get caught up in her vacation plans, and the green light you’ve been waiting for is stuck on red. Never underestimate the importance of an email signature. It’s essential for contact purposes, and it’s one of the easiest tools you have to market your company and yourself. Email signatures are easily set up and can to be automatically added to every email you create. A signature should contain your name, phone numbers (office and cell), and website at a minimum. But, they also can include things like your logo, social media channels (personal and business), certifications, and your blog. Whatever online tools you have to market yourself are options for inclusion, too. If you’re going to include social media, and professional accreditations, don’t forget to utilize the badges and icons they make available for your use. They’re easily added to signatures and can link directly to your pages. Personalize your signature! Don’t be afraid to include something that makes your email signature memorable. Every email you send, even your replies, is an opportunity to market your company. Not only does the intended recipient read your emails, but some are forwarded to others, who also have exposure to your thoughts, ideas, and – you’ve got it – your email signature! You never know what will prompt someone to have a sudden interest in learning more about you and your company. Why not make it effortless for them? This entry was posted in Branding, Communicating, Marketing and tagged Email, Signature. Bookmark the permalink.